Place bowl of salmon tarama in center of platter. Garnish with salmon caviar and dill. Surround with pita chips and serve. 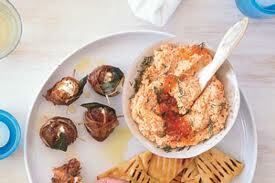 more info Tarama is sold at many supermarkets and at specialty foods stores and Greek markets. Enjoy !